Simple just enjoy life. While watching this bird i was amazed that there was no stress or strain. the Bird just soared through the winds as easily as i had walked out to the park. Even with the wind blowing against him. I can't explain how the bird was doing this, as a matter of fact I dont want to ruin the experience by even trying. 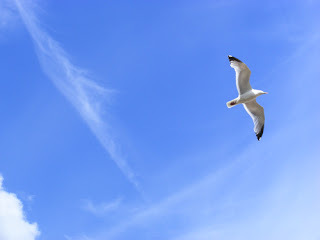 I just want to follow it's example and soar through life regardless of which way the wind is blowing. i hope the Ha2ku help you on your Journey.